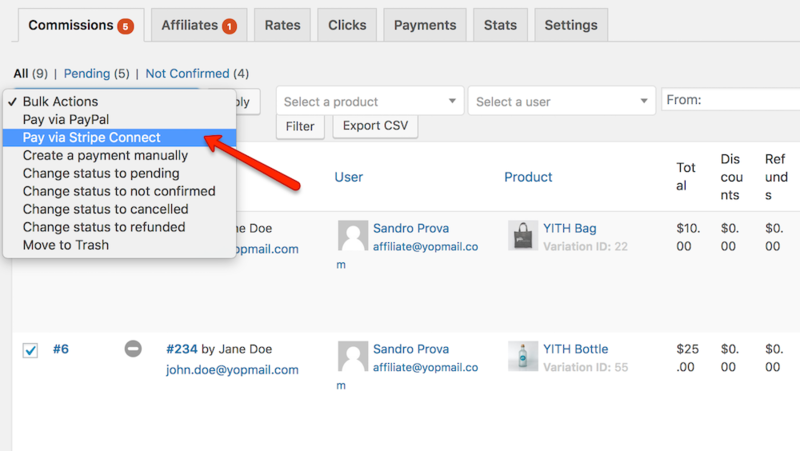 With the YITH WooCommerce Affiliates you will have an actual affiliation system on your shop in few steps. You could set a unique or different commission rate for each affiliate. The payment can either be done manually or automatically by using PayPal or Stripe. Due to the integration with YITH Stripe Connect for WooCommerce you are also able to pay the affiliates (automatically) via Stripe Connect. For more information on how to install the Affiliates plugin, take a look a the full documentation here.